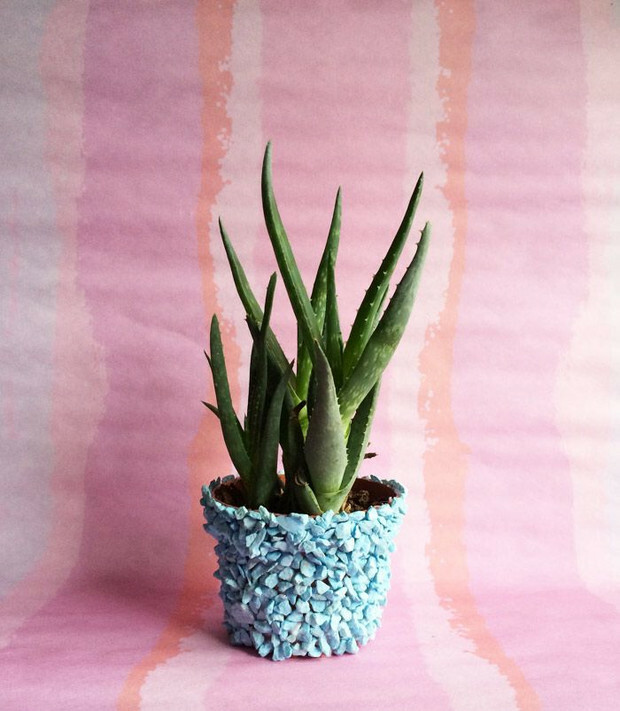 It’s time to add these DIYs to your list. Can you spot the hack? 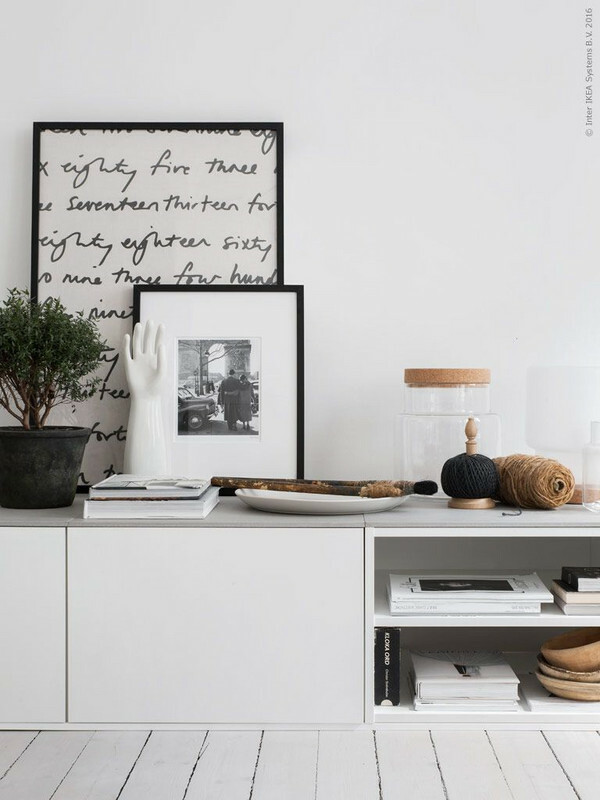 Pair Ikea’s classic Lack shelf with a leg frame to create a desk or entryway console. 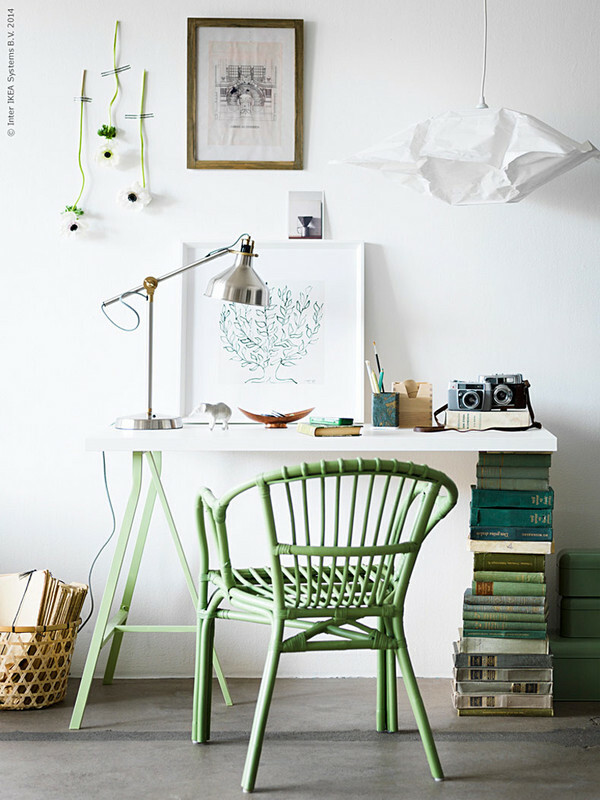 We’re taking cues from this scene that subs the alternate side of the frame with a stack of color-matched books instead. Get the complete how-to here. 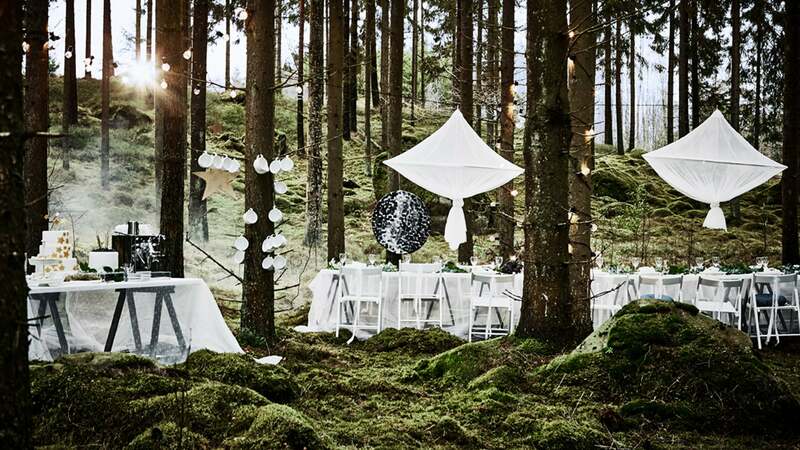 A woodland-inspired dinner party calls for plenty of ethereal textures that will offset the rigidity of the surroundings. 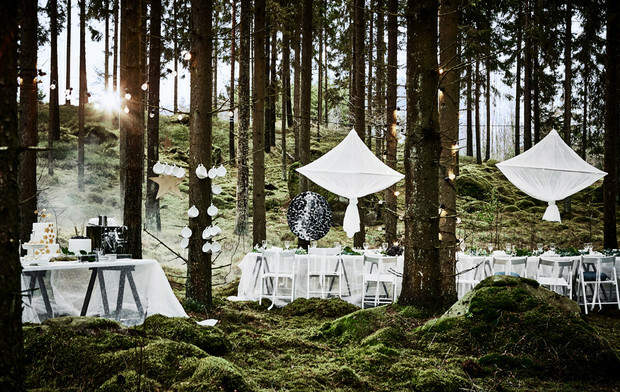 Here, the Solig nets are revamped to function as dreamy accent pieces above the dining tables. Get the DIY here. Ikea’s Sinnerlig pendant lamp has been making a serious statement this season, and we’re all for reimagining the many ways this one piece can be used. Here, it comes paired with a set of blush-tone legs that transform the piece into a low-sitting floor lamp. Get the how-to here. Who knew a muffin tin could double as table decor? 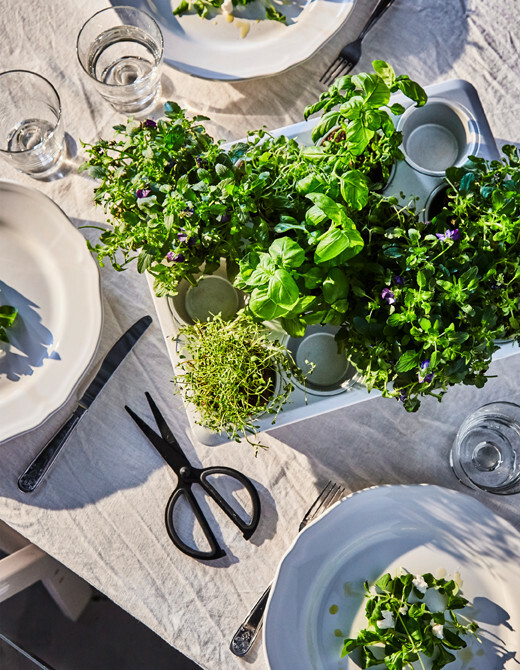 Fill each well of the tin with a cluster of herbs to create an edible centerpiece that’s both fragrant and chic. Get the scoop on Ikea. 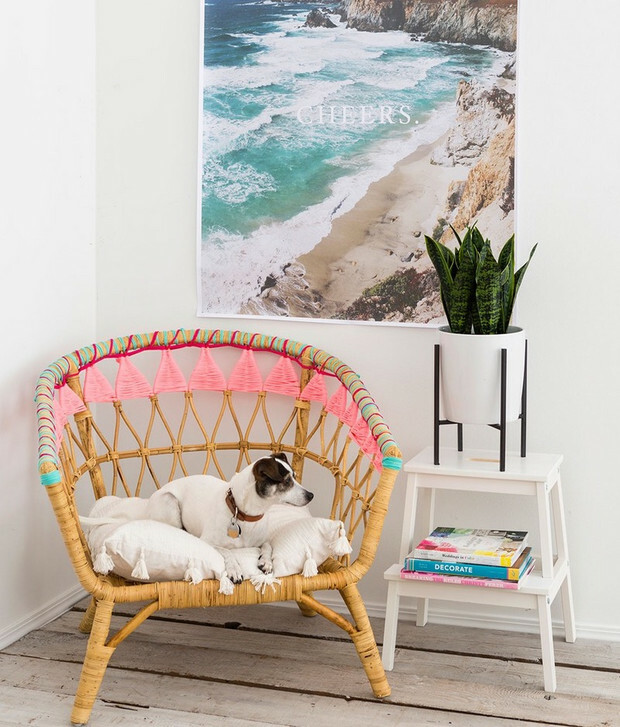 It’s no secret that rattan is making a comeback, so naturally, a stylish upgrade is in order. Here, with the help of a little jersey cotton and yarn, this seat is transformed into a playfully colorful accent piece. 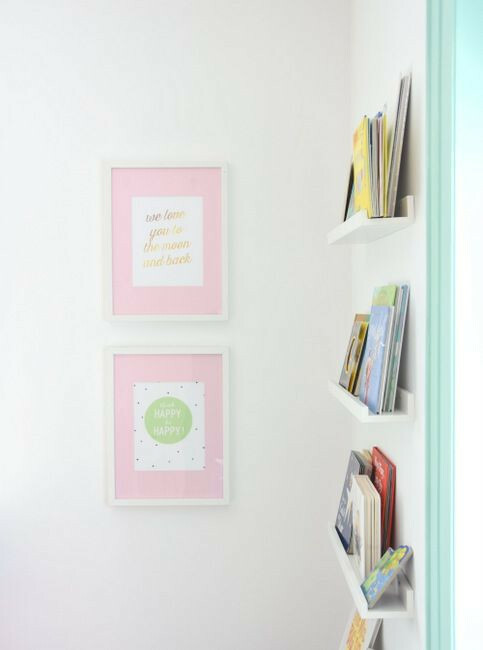 Get the how-to on Brit + Co.
There’s your typical storage, and then there’s this. 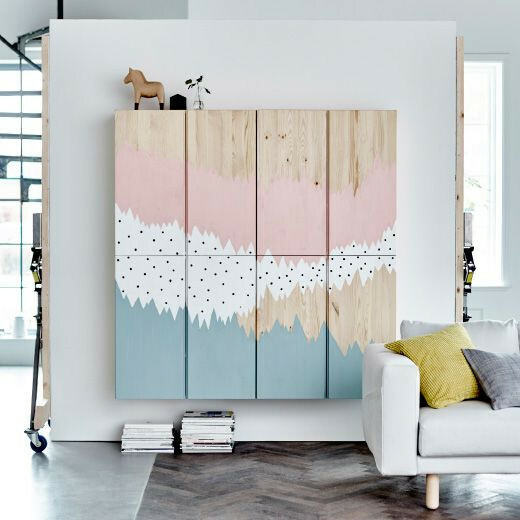 Stack two sets of a pair of Ivar cabinets side by side, and paint a mural of your choosing or cover them with a graphic wallpaper. 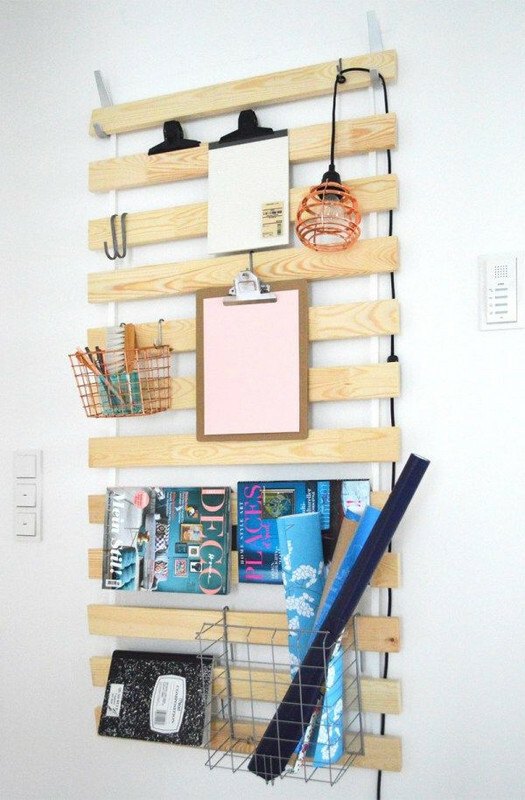 A slatted bed base becomes a wall-mounted storage solution for the home office — bonus points for being both stylish and functional. Get the how-to here. 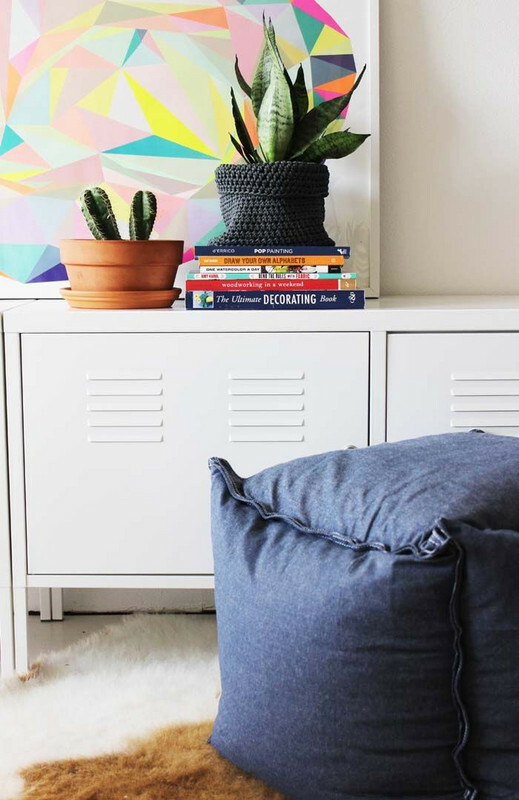 Enter one budget-friendly DIY that takes under an hour to make and only requires a cushion plus a cover. Get the scoop on Poppytalk! 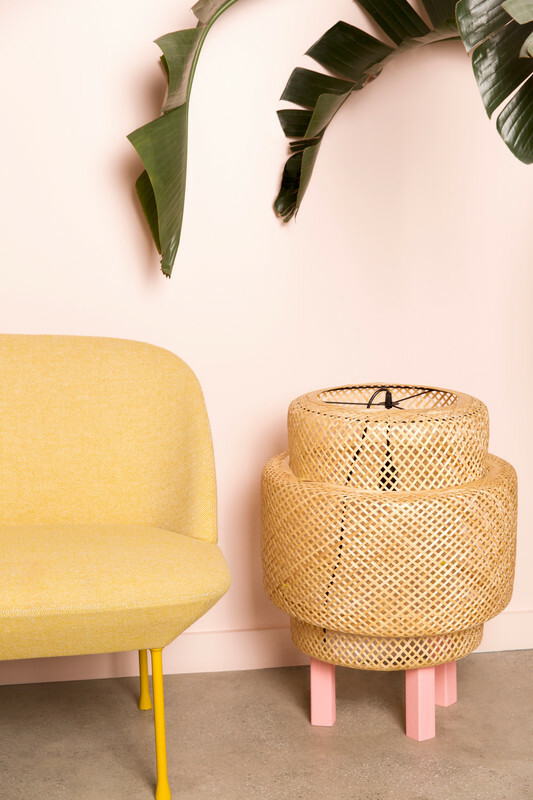 An everyday planter reinvented with an edgy texture that exudes fearless style with a bright pop of color. Meet Superfront, a Swedish company that offers a variety of stylish accessories with the purpose of elevating Ikea basics. 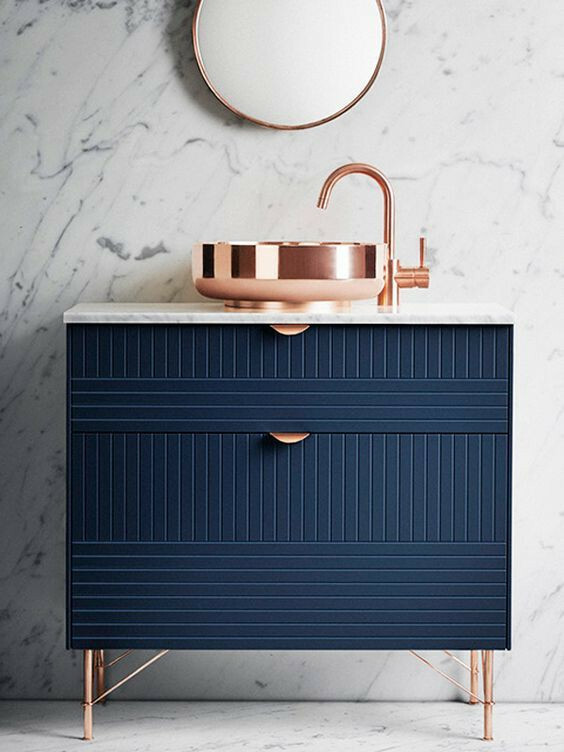 It’s hard to believe this was once just a plain sink cabinet! Lend a touch of color to your wall art with painted frame mats. Here’s how. 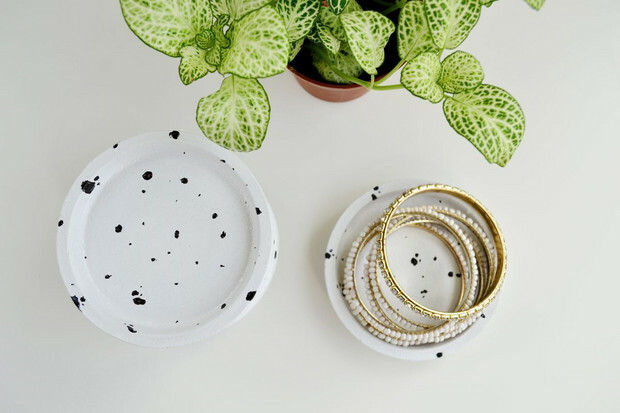 Paint transforms these basic coasters into chic and minimal trinket dishes. Get the how-to. For the overhead lighting that looks a bit outdated or plain, add a delicate yarn accent for a more dressed-up feel. 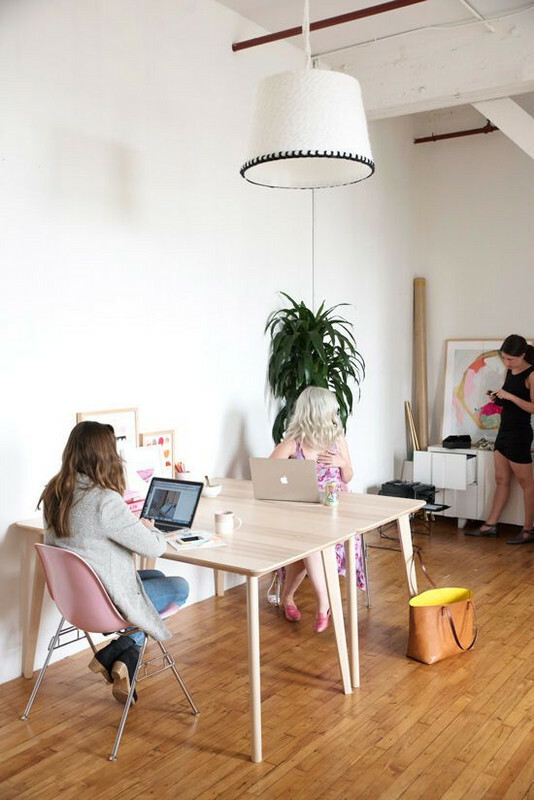 Get the scoop on DesignLoveFest. Terracotta planters are a thing of the past. 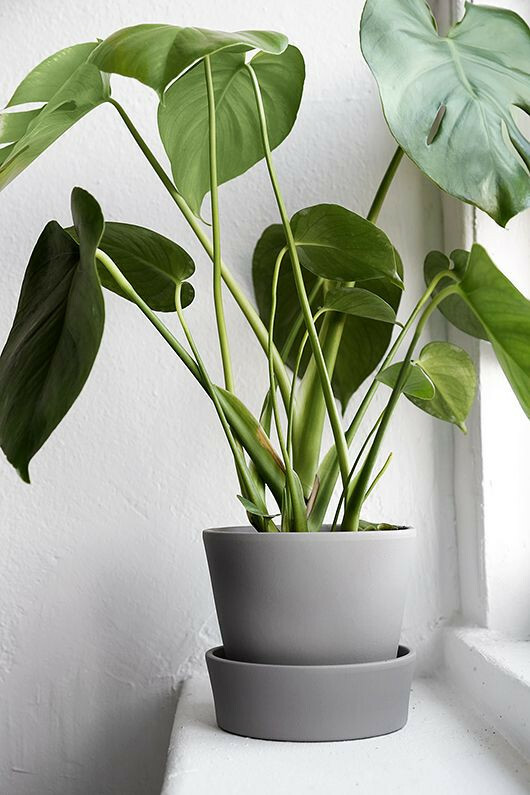 Reinvent Ikea’s Ingefära planter with a fresh coat of paint. Get the how-to. 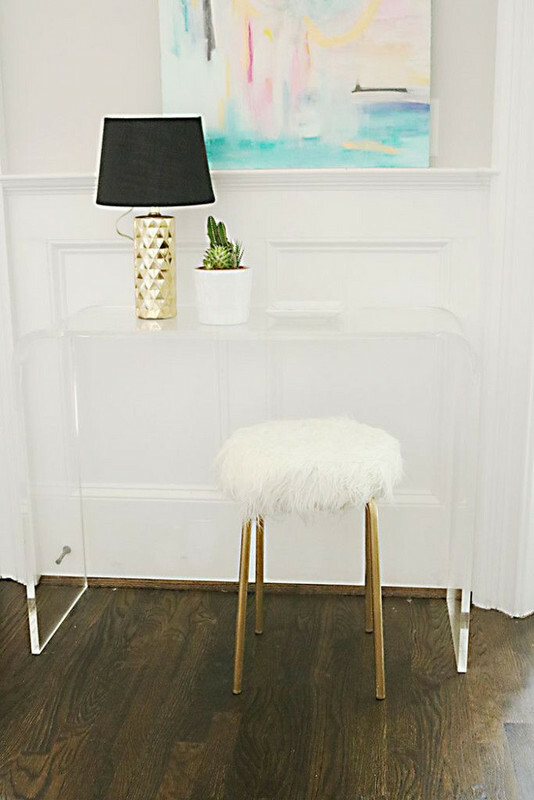 You’ve probably seen your fair share of this must-have fur-covered stool — here, a DIY that will cost a whole lot less. A line of the Sektion fridge top cabinets paired with a slab on top and bottom becomes the media center you never knew you needed. Get the how-to here.